Welcome Bonus: Free Spin on the Mega Reel with a chance to win Amazon vouchers or up to 500 fee spins. Casinos are glitz, glamour, adrenaline, ambition, sharp minds, and most importantly, bags of cash. Take all that and fit it into a website: the result is an online casino like 123 Spins that brings Vegas to your phone or desktop and comes packed with a dizzying amount of games. A property of the UK-based Jumpman Gaming Limited, 123 Spins Casino has all it takes to impress a pro gamer – right from its well-furnished games lobby to a generous welcome bonus and helpful support team. We set out to investigate the platform with one question in mind: worth it or not worth it? The following were our findings. Let’s go. Upon signing up as a new player on this platform, you’re offered a welcome bonus package comprising a free spin of the Mega Reel; this is contingent on you first making a deposit. This offer opens up amazing opportunities to win varying prizes like Amazon vouchers or up to 500 free spins. To claim this free spin, you’ll need to deposit a minimum of £20. In the event you win free spins after playing the Mega Reel, you’re only allowed to use them on specific games selected for you by 123 Casino. Conversely, if you win Amazon vouchers, the company sends you an email containing relevant details within 7 days. Any winnings that result from the free spins are credited to your account as “bonus” cash which you need to use within 7 days of winning them. While we found this player rewarding model by 123 Casino to be a quite interesting way to dish out the fun, we also thought that the company imposes steep conditions that most players will find difficult to meet to claim the bonus money. For example, you’re supposed to wager 65x your bonus amount plus any remaining wagering requirement you may have before cashing out. Consequently, should you decide to cash out before fulfilling the wagering requirement, you automatically forfeit the total remaining bonus funds, free spins, and any Mega Reel spins. Combine this with the fact that you have to use all the bonus funds within 7 days and you have a truly difficult task ahead of you. Finally, it’s worth mentioning that you can only claim a maximum cash amount of £250 while using the bonus funds earned using the free spins. Just like the welcome bonus, this offer is also aimed at new players. “Newbies” automatically qualify for at least 1% cashback with the amount going higher as your skills grow. For example, once you reach the “Expert” level, you qualify for 2% cashback. Pros get 6%, VIPs get 10%, and Legends are eligible for a whopping 20% cashback offer. This is the regular cashback, without the “boost” factor. Experts get 1% cashback, Pros get 3%, VIPs get 5%, and Legends 10%. Through this offer, 123 Spins rewards any player that collects 200 trophies with a free £10 Amazon voucher. Besides, every time you collect 5 trophies, you stand a chance to win up to 500 free spins, which means you can potentially win up to 20,000 free spins. 123 Spins Casino gives you the opportunity to rise through its 5 user levels while collecting exciting rewards along the way. Begin from Newbie, to Expert, Pro, VIP, and finally the Legend level. Each level enjoys specified rewards including Daily Cashback offers, Free Spins, and Birthday Bonuses. Unlike most modern online casinos, 123 Spins does not have a diversified payment structure. For example, the only currency accepted for deposits and withdrawals on this platform is the British Pound. Also, the casino allows a maximum of 3 payment channels for each user account, all which you must prove to own by having the same name as that which you used while registering on this website. The limited number of payment methods comes with its advantages and disadvantages. The main benefit is derived by 123 Spins Casino which enjoys a tighter control of its system as there are very few variables to deal with. On flip side, players have to accept the fact that they can only transact with the British Pound and deposit their money using a maximum of seven payment methods. Also, the minimum deposit amount accepted here is £10. Concerning withdrawals, 123 Spins allows you to only cash out your real money balance (this applies if you still have any bonus funds reflecting on your account). Withdrawals of amounts less than £10 require you to communicate with customer support. Besides, those under £30 are charged a standard £2.50 transaction fee. Newly registered players cannot make withdrawals until 48 hours after making their first deposit. Also, upon adding a new payment method, you also have to wait for 48 hours before cashing out any funds from your account. All withdrawals on this casino have a pending period of up to 72 hours, during which time you can opt to reverse the process. Again, in this case, the casino trades off the customer’s convenience for greater control of the variables (which enhances security by reducing common anomalies). The 123 Spins Casino games lobby is packed with 100s of exciting games that are sure to keep any player, no matter their level of experience or preference, entranced for a very long time. These games come with varying concepts and appeal as some of their names suggest: Shaman’s Dream, 88 Fortunes, Temple of Iris, Leprechaun Carol, Irish Luck, Rainbow Riches, Bonanza, Startburst, and many other colourful titles. To keep you glued on your screen and with adrenaline coursing through your veins, 123 Spins ensures that its games feature high-quality, crisp graphics as well as enchanting sounds. To keep up with all the latest tech and trends in the gaming world, this casino works with numerous top software developers like NetEnt, NYX Gaming, Elk Studios, Microgaming, NextGen, Aristocrat, and Thunderkick just to name a few. Overall, we found the games lobby at 123 Spins to be well-furnished even though a little more diversity in the variety of games would help the platform attract even more players. However, our biggest disappointment here was the lack of a live casino but we won’t be too hard on the platform, at least for now. We can only hope that plans are underway to incorporate this and many other features for the players looking for more advanced games. In this golden age of mobile computing, a casino that is not mobile-friendly would lock out too many potential users. For this reason, 123 Spins has made most of its games accessible to mobile users on devices like smartphones and tablets. Perhaps what you’ll like the most about this mobile platform is that it is an instant-play casino which means you don’t require to download anything to access the site. However, we’d recommend that an app is made available for players that prefer them to playing games on a browser. Understandably, we are all worried about how online businesses and entities like casinos use our personal data today. Among our fears are crucial information landing in the wrong hands, about being duped by unscrupulous operators, or being hacked. In line with these concerns, online casinos need to define clear terms concerning how they plan to protect users from falling into some of these common traps. 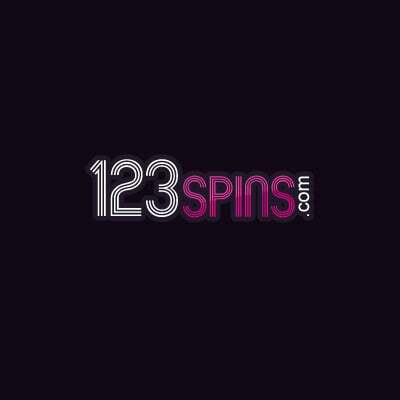 As earlier mentioned, 123 Spins is a business operated by Jumpman Gaming Limited, a reputable firm in the online gaming space and a holder of gambling licenses from two sources: the UK Gambling Commission (UKGC) for customers in Great Britain and the Alderney Gambling Control Commission (AGCC) for players from other parts of the world. What’s more, Jumpman is registered with the Data Protection Officer of Guernsey as is required by the Data Protection (Bailiwick of Guernsey) Law of 2011. The company’s headquarters are in Saint Peter Port, Guernsey. To enhance data security, 123 Spins website utilizes several mechanisms including using SSL encryption, firewalls, and access control policies. The casino is also subject to third party security audits by relevant authorities which help to ensure that it remains compliant with the standards set in ISO/IEC 27001:2013. You can contact the support team at 123 Spins for any of the following reasons and more. To permanently opt out of receiving bonuses and any promotional offers from the casino. To verify if promo content sent out by third parties is genuine. To set self-imposed limits on deposits (daily, weekly, or monthly) – a feature 123 Spins Casino offers in line with its Responsible Gaming philosophy. Besides, you can also request the team to exclude you from games if you think your gambling behaviour is getting out of hand. To take a break from your account: from a day to or any period up to a maximum of 6 weeks. While we generally liked 123 Spins Casino, it did not pass our notice that there are quite a few rough edges. For starters, there’s a sizeable list of countries from where gamers can’t access the platform including the United States, France, South Africa, Russia, and Spain among others. Other let-downs include lack of no-deposit welcome bonus, limited payment options, lack of a 24-hour customer service, and the fact that the only currency accepted here is the British Pound. Other than that, we were thoroughly impressed with a few areas, chief among them being the casino’s responsible gaming philosophy, huge treasure trove of games (especially slots), easy sign up process, tempting bonuses and promotions, and the dedicated customer service crew. To this end, 123 Spins Casino is one of the platforms we encourage our readers to try out. Sign up today and use the welcome free spins to play your favourite games.